Dennis P. Wallace joined ADM as a Partner in the firm's NYC office upon his retirement from AIG. 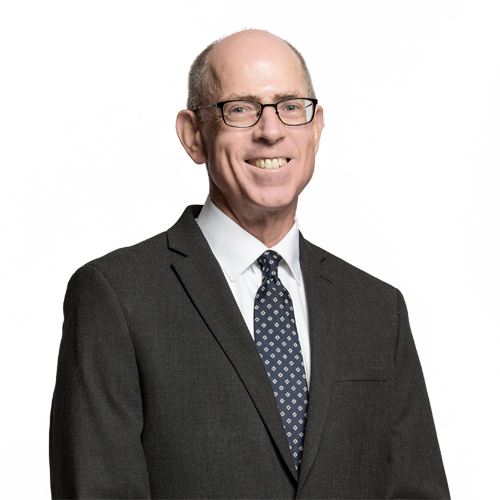 Dennis focuses his efforts on the firm’s long-standing commitment to provide superior and cost-effective legal services to its valued clients. Dennis spent 27 years at AIG, most recently as Senior Managing Director of the Claims Initiative Group. In that role, Dennis worked closely with AIG's Actuarial, Claims and Legal departments to improve case-specific results, enhance reserving practices, and develop broad-reaching claim strategies and programs. Dennis joined AIG in 1989 and held a series of claims, legal and management positions, including establishment of AIG’s Legal Operations Center to oversee enterprise-wide external legal spend; VP - Excess Casualty claims; VP - Primary Casualty and Auto claims; VP - Claims Resources and Solutions, consisting of Issue Management, Claims Technical Training and Claims Service and Marketing; VP - extra-contractual and staff counsel malpractice claims; and Northeast Regional Claims Litigation Manager. In addition, Dennis has served on various insurance industry-related panels, including U.S. Chamber Institute for Legal Reform’s Steering Committee to Curb Global Forum Shopping; U.S. Department of Justice’s Civil Justice Statistics Initiative; National Center for State Courts, and RAND Corporation’s Institute for Civil Justice (ICJ), where he currently is a member of the Board of Overseers. Before AIG, Dennis was a litigation defense and coverage attorney at a New York City-based law firm and before that, VP - Claims at Marsh & McLennan. Dennis received his undergraduate degree from St. John’s University in Queens, New York, and his law degree from St. John’s University School of Law. Dennis has almost 40 years of insurance claims and legal experience and is licensed to practice law in NYS.